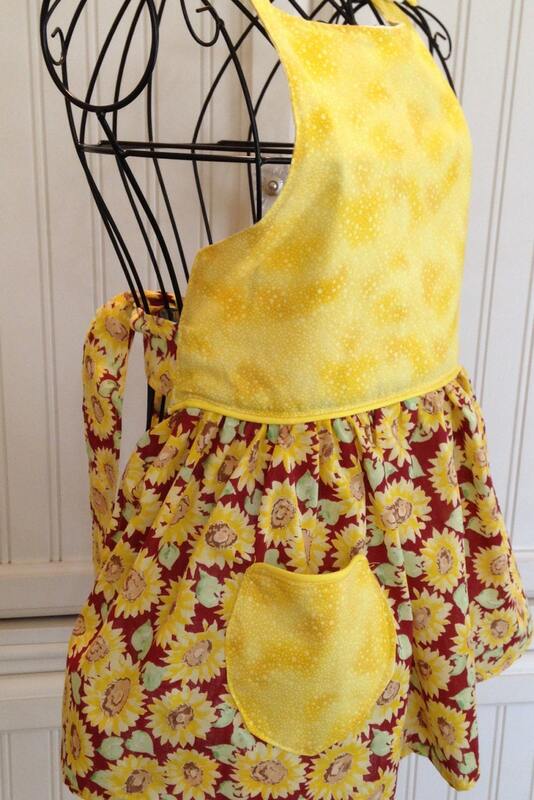 Summer sunflowers on a vintage style apron makes the sun shine in the morning. 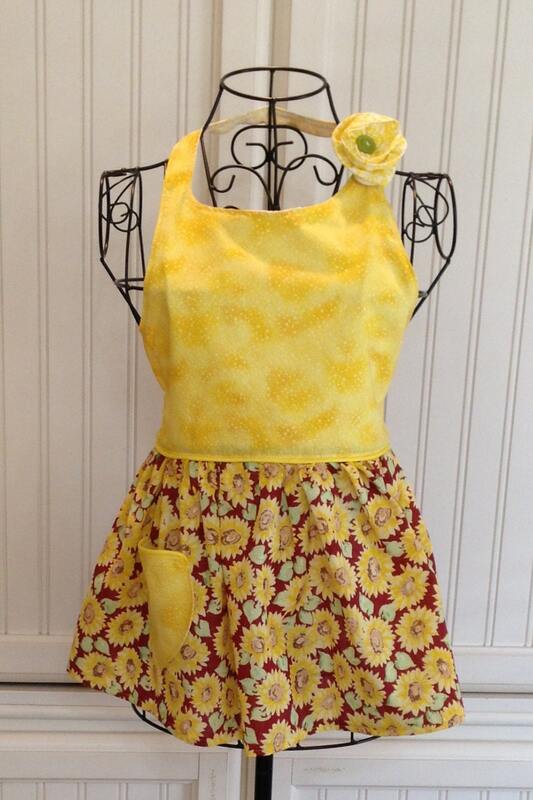 Your little girl will brighten up breakfast wearing this beautiful apron with its sunny yellow bodice with it little yellow flower pin. Complete with an elastic loop button neck strap, long sunflower waist ties and a side pocket, who could ask for more. 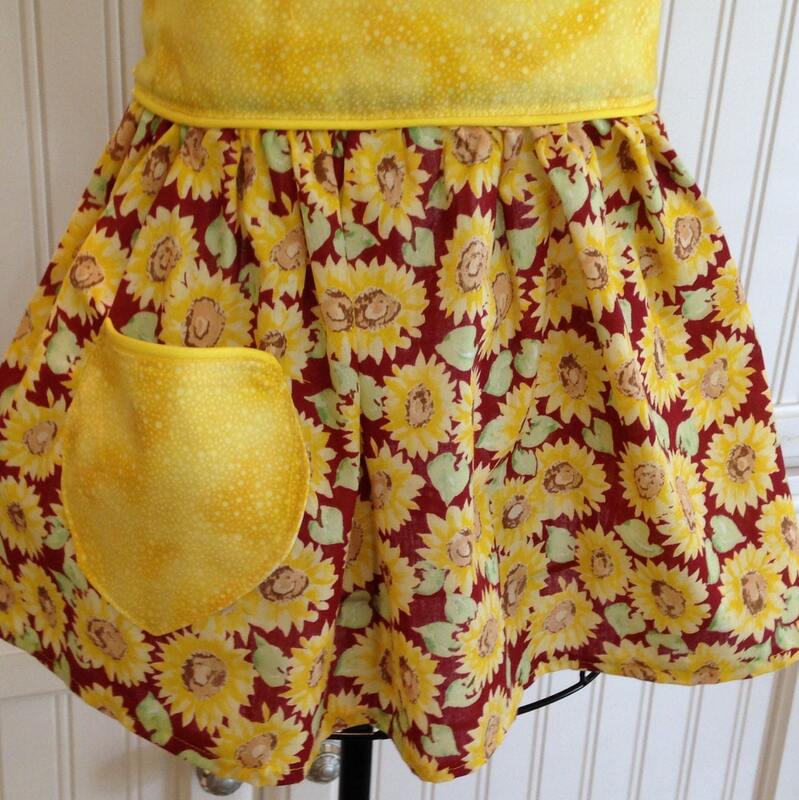 The gently gathered skirt is 12" long just the right length to wear and grow. 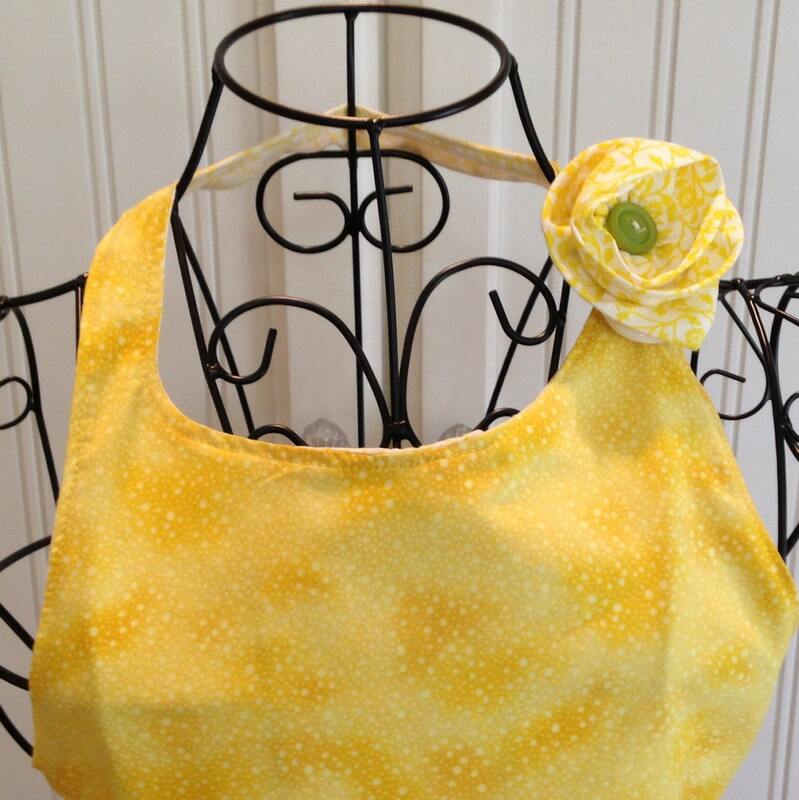 Made from pre washed quilt quality cotton this apron is an heirloom in the making. All seams are served for longevity and the bodice is fully lined. The bodice flower can be pinned on or worn in the hair because it has both a pin and an alligator clip on the back. 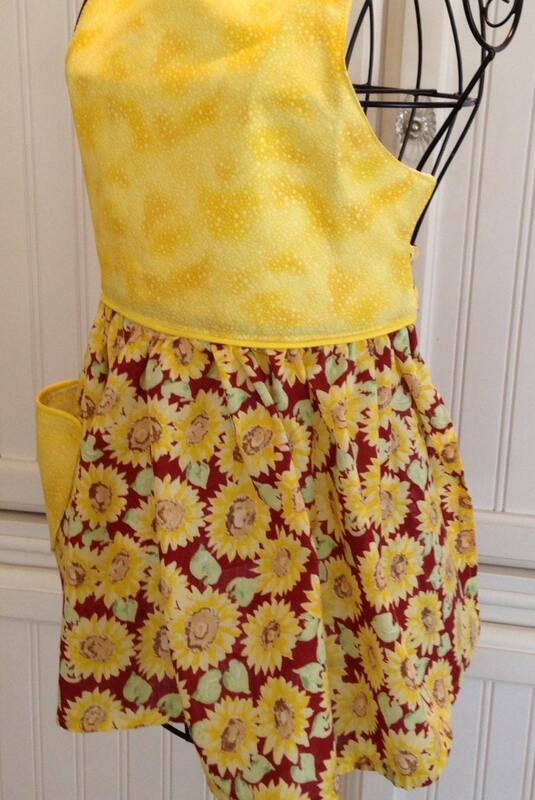 Pair this apron with the sunny sunflower women's apron for a "mommy and me" baking day!